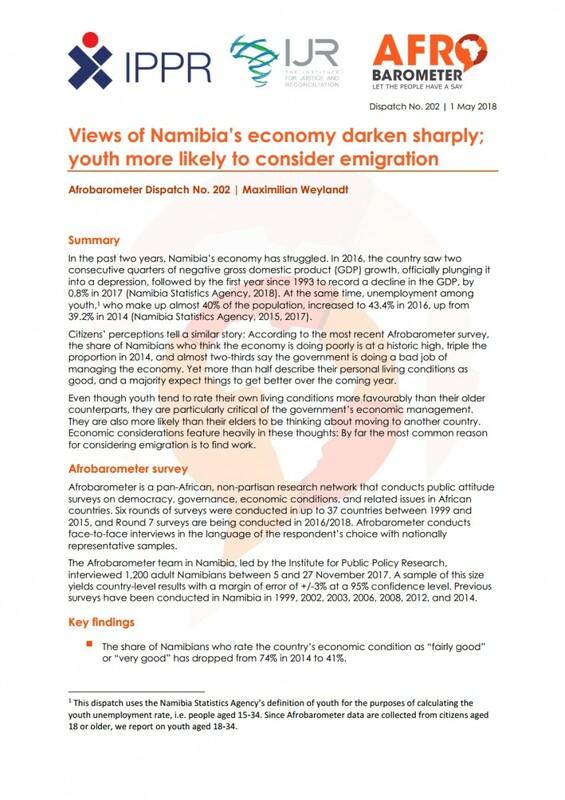 According to the most recent Afrobarometer survey, the share of Namibians who think the economy is doing poorly is at a historic high, triple the proportion in 2014. Almost two-thirds say the government is doing a bad job of managing the economy. Yet more than half describe their personal living conditions as good, and a majority expect things to get better over the coming year.